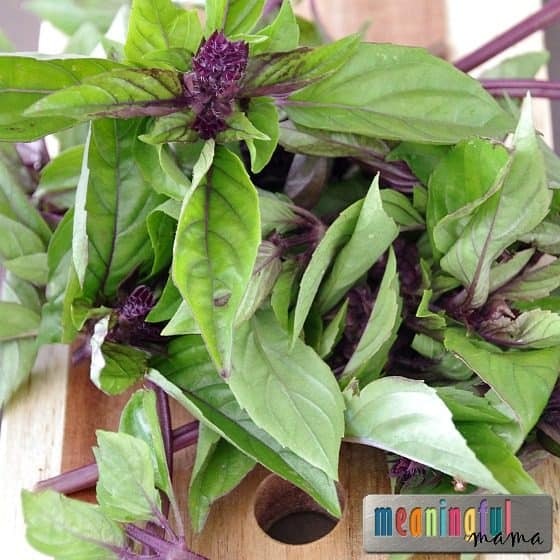 As I was trimming back my garden, I began daydreaming about a Red Thai Basil Pesto Sauce. My Thai basil had been thriving, and I just couldn’t keep up. Sure, we made this delicious Panang Curry and fabulous Thai Drunken Noodles, yet I still had a plant that was producing. 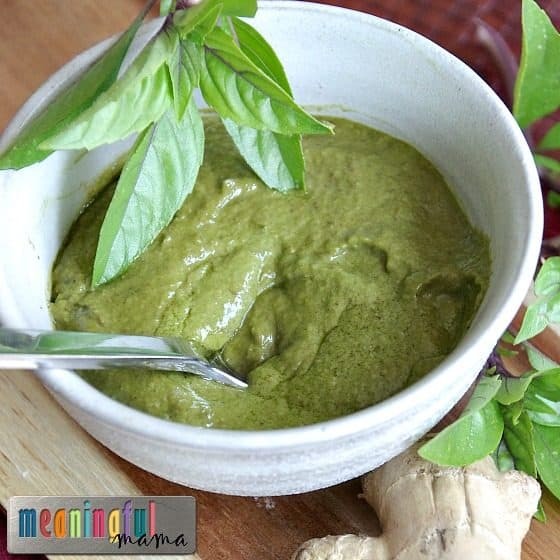 I had made pesto with my regular basil, and I sat pondering if Red Thai Basil Pesto Sauce was even a thing that had been created. 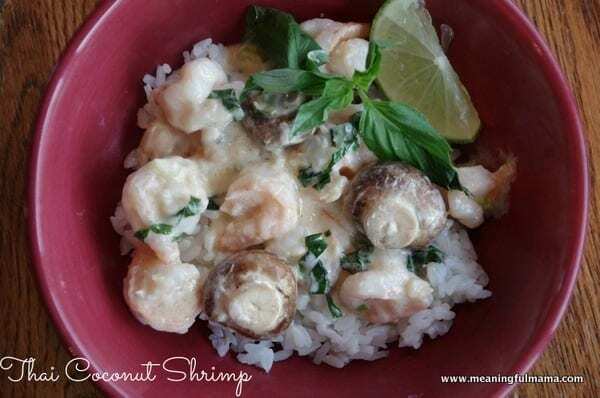 My imagination started to make this sauce as I brainstormed the Thai flavors I love. 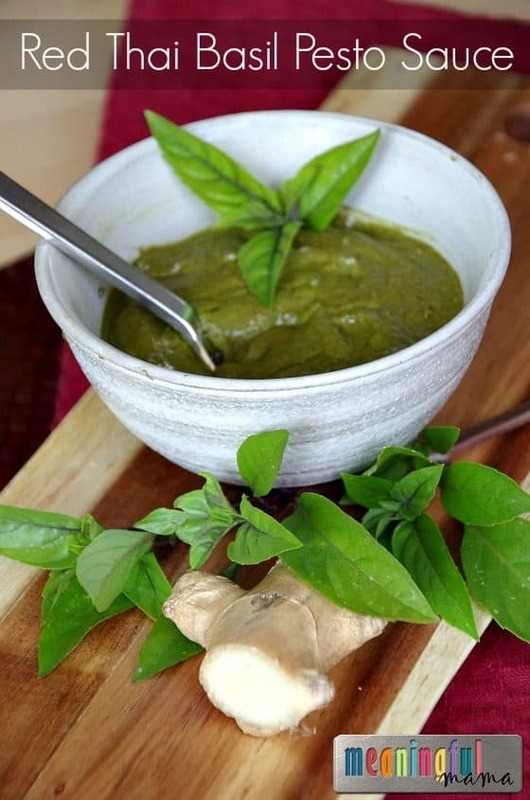 When I returned inside, I Googled it only to discover that Red Thai Basil Pesto Sauce is in fact a thing but no one had executed it quite like I envisioned. Therefore, I set out to make my own version. When done, I was spooning the pesto into my mouth. Seeing the broccoli from our garden that also needed to be consumed, I began dipping it. Broccoli has never tasted so good. I now get to share this new recipe with you. 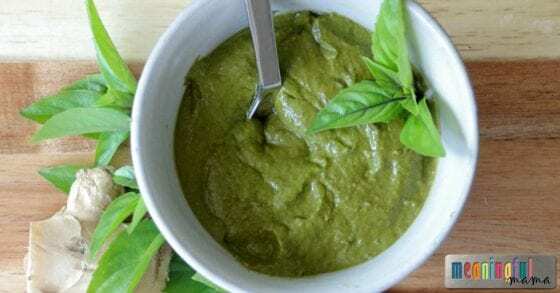 “How could you use a Red Thai Basil Pesto Sauce?” you ask. I obviously used mine for a dip, but I believe this sauce would be amazing on a variety of proteins, including chicken, lamb or fish. Stirring it into ramen noodles, rice noodles or normal pasta would be tasty too. I also imagined stirring this into cooked ground turkey and making a lettuce wrap out of it. Yummy! Place all ingredients in a blend and blend until fully incorporated. Easy enough, right? I imagine, like regular pesto, you can store by putting in an air tight container in the refrigerator. If you want it to keep longer, you can add all of the pesto in an ice cube tray and store in the freezer for up to 3 months. Just defrost at room temperature until ready to serve. Enjoy! Place all ingredients in a blend and blend until fully incorporated. 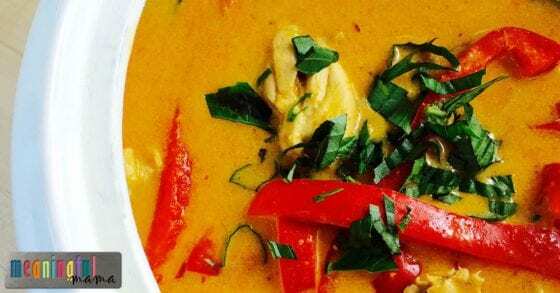 Love Thai Food? 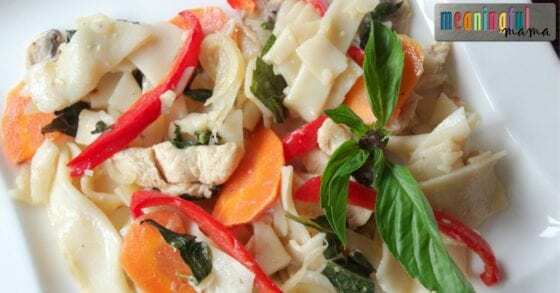 Looking for More Thai Food Recipes?